Alexandr Mathias Castrén, a Finnish linguist and ethnologist, was born into the family of a Lutheran pastor in the village of Tervola near the Arctic Circle (the county of Oulu in northern Finland) in 1813. He went to the University of Helsinki in 1830 with the aim of studying classical and oriental languages, adding Finnish language to his program in 1834. After the appearance of the epic Kalevala (1835) compiled by the Finnish linguist E. Lonnrot, Castrén devoted himself more completely to the Finnish language. (published in 1841). A two-month trip to Finnish Lapland together with C.R. Ehrström, a physician in Tornio, in 1838 prompted Castren to study the Lappish language. In 1839, having received a grant from the Finnish Literature Society, he undertook a journey to Finnish and Russian Karelia to collect linguistic and ethnographic material in order to learn more about the old local folk-songs (called runes). In 1839, he earned a doctoral degree for the study of the declensions in the Finnish, Estonian, and Lappish languages. 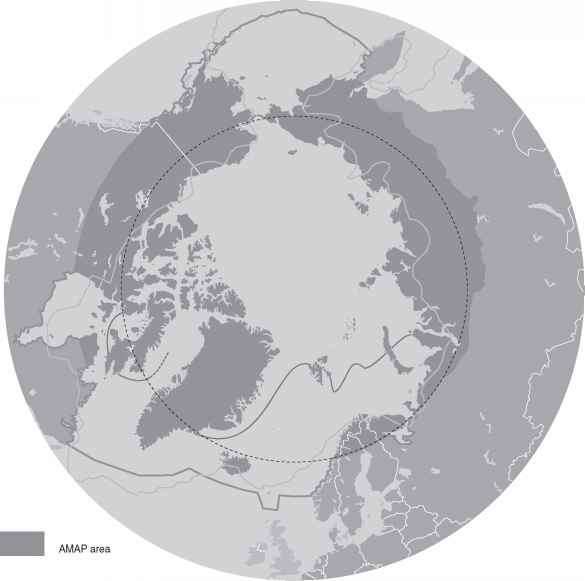 In 1841, Castren and Lönnrot made a trip to (Finnish, Norwegian, and Russian) Lapland and to Russian Karelia, from where Castren, having received money from Finland, went to the tundra inhabited by the Samoyeds of northern Siberia. The trip that started in Arkhangelsk continued through Mezen, the tundra of Timan, the western and southern area of the Timan tundra, and finished at the mouth of the River Ob' in western Siberia in 1844 (then called Obdorsk, at present Salekhard). During this hard trip, Castren fell ill with tuberculosis. In 1844, he compiled the grammar of the Komi language, and in 1845 that of the Mari language. Owing to the help of the Finnish linguist A.J. Sjögren, a member of the St Petersburg Academy of Sciences, Castren received a grant from the Academy that enabled him to carry out an extensive expedition to western and central Siberia and to Trans-Baikal land in 1845-1849. His traveling companion was the Finnish linguist J.R. Bergstadi. They stopped at Tobolsk, Samarovo, Surgut, Narym, Tomsk, Eniseisk, Turukhansk, and Tolstoi Nos (the northernmost place they visited at the Bay of Enisei), in the regions of Minusinsk and Kansk, at Irkutsk, Kiakhta, Nerchinsk, and several other places. They studied the Khanty, Sel'kup, Ket, Nganasan, Siberian-Tatar, Tungus, and Buryat languages and ethnologies. Castren had prepared the grammar of the Khanty language by 1849. From 1849 to 1851, Castren was an adjunct at the St Petersburg Academy of Sciences while living in Helsinki so that he could systematize the linguistic and ethnographic material collected at the expedition. He published his dissertation on the comparison of the Finno-Ugric, Samoyed, Turkic-Mongolian, and Tungus languages, De affixis personalibus linguarum Altaicarum, in 1849. This allowed him to apply for the post of a professor of the Finnish language and literature at the University of Helsinki in 1850 (he was appointed to the post in 1851). The material collected by Castren was posthumously edited by the Baltic-German linguist F.A. von Schiefner, a member of the St Petersburg Academy of Sciences, and published in a 12-volume series entitled M.A. Castrens Nordische Reisen und Forschungen (1853-1862). It contains the Khanty grammar, the grammars, and dictionaries of the Samoed languages, the grammars of the Tungus, Buryat, Koibal, Karagassian, and Ket languages, travel accounts, letters, lectures on Finnic mythology, and the ethnology of the Ural-Altaic people and other items. Castren developed on the theory of the affinity of the Uralic and Altaic languages put forward by the Baltic-German linguist F.J. Wiedemann, a member of the St Petersburg Academy of Sciences since 1858. However, only the kinship of the Finno-Ugric and the Samoyed languages was proven. Castren's contribution is particularly remarkable in the profound investigation of the unknown to Europe, the Samoyed, Turkic-Mongolian, and Tungus languages. Before Castren, many Siberian languages (except the Iakutian and Mandzhurian literary languages) were unknown to Europeans. Castren was the first linguist to study several of them, such as the Khanty, Sel'kup, Ket, Nganasan, Siberian-Tatar, Tungus, and Buryat languages. In addition, he proved that the last-mentioned language had affinity with Mongolian, Turkic, as well as Finno-Ugric languages. A great number of ethnographical data supported Castren's theory of the affinity of the Ural-Altaic languages. The principal conclusion of Castren's theory was that pro alutina-tion, personal affixes, toponymy, and similar ethnography (e.g., nomadism, exogamy) were the features indicating the affinity of the Ural-Altaic languages. Castren supposed that the initial home of the Ural-Altaic languages was the Altai.